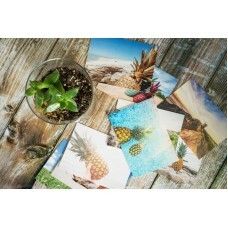 Postcard sized, most common photo size also know 4 x 6" or 10 x 15 cm.Real photo is good quality and.. Double from Postcard sized, second common photo size also know 6 x 8" or 15 x 20 cm.With this you be..
8 x 12" or 20 x 30 cm.Real photo is good quality and sharp photo, long lasting. From these is nice t..